Xylan® is a family of Flouropolymer coatings designed for use on various types of OEM components and fasteners. Most Xylan® coatings contain PTFE or other types of lubricants and are applied in thin films. 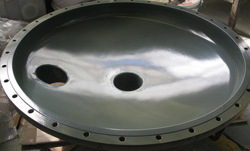 Xylan® coatings provide lubrication and controlled friction, wear resistance, heat resistance, nonstick and release properties and, at the same time, can also protect from corrosion. Xylan® coatings solve the problems created when the ideal material for use in engineering construction has the wrong surface properties. 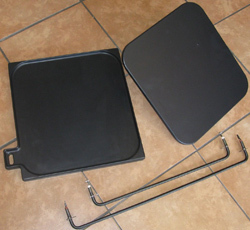 Parts made from materials with the optimum strength, weight and cost may corrode, seize or gall. Xylan® coatings provide a working surface, tailored to the application. 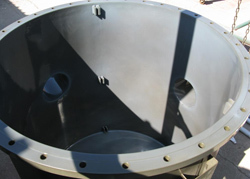 Xylan can be used as a coating on steel, aluminum, copper, castings, exotics, wood, paper, thermoplastics or fabrics. HALAR® ECTFE is a partially fluorinated semi-crystalline polymer offering a unique combination of mechanical properties, permeation resistance, thermal and chemical resistance, and versatility. HALAR® ECTFE is a melt processable Flouropolymer manufactured by Solvay Solexis. Its unique combination of properties is credited to its chemical structure, a 1:1 alternating copolymer of ethylene and chlorotrifluoroethylene. 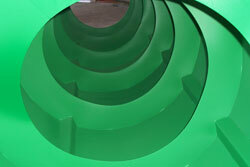 Halar® ECTFE coatings provide outstanding chemical resistance. It is resistant to strong mineral and oxidizing acids, alkalis, metal etchants, liquid oxygen, and essentially all organic solvents except hot amines. HALAR® ECTFE coatings provide good electrical properties, a broad use temperature range from cryogenic to 150°C. Halar can withstand vertical flame tests in thicknesses as low as 0.18mm. It is a tough material with excellent impact strength. These characteristics have made HALAR® the material of choice for many applications across multiple industries. It has been widely utilized in the chemical, pharmaceutical, and microelectronics industries for chemical resistance. Teflon® ETFE Coatings are unique industrial nonstick systems with properties unmatched by any other engineering material. Teflon® ETFE Coatings are applied in the form of powder up to a thickness of 2mm and sintered at 400°C in order to cure properly. The high technology performance of Teflon® ETFE can be used to cut production costs and increase productivity in a wide range of situations. Teflon® ETFE is generally considered to have a no-load continuous use temperature of 150°C. However, in certain specific applications, it can have an upper service temperature in excess of 200°C. Hyflon offers the highest temperature rating and broadest chemical resistance of all melt processable fluoropolymers, making them an ideal choice for extreme thermal and chemical environments. Hyflon MFA® has better chemical resistance and thermo-mechanical properties than FEP. Both PFA and MFA® are well-suited for use in wire and cable, semiconductors and chemical processing industries. Onshore and offshore structures throughout their lifetime. SIGMADUR atmosphere, abrasion and corrosion resistant finish coatings cure down to –5°C and have been specially formulated to provide ultimate performance, durability, and colour and gloss retention. Innovative technology ensures that these coatings look good and offer excellent protection to the splash and spillage of mineral and vegetable oils, paraffin’s, aliphatic petroleum products and mild chemicals. 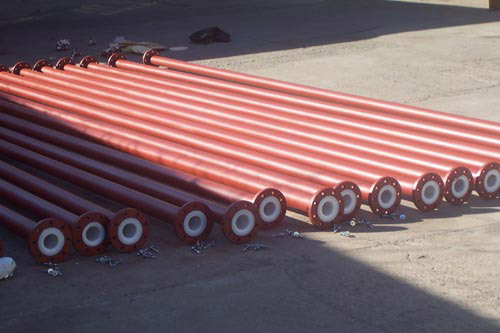 The SIGMADUR range is widely used and respected in all key industry sectors, meeting the extreme challenges required to protect major assets throughout the world, such as Coastal inland structures, Process equipment, Refineries, Storage facilities, Steel Structures, Pipelines, Port and harbor, Power plants structures, Steel and concrete tanks. ChemLine® is a coating with superior chemical resistance and high temperature resistance. ChemLine® is a high functionality, two component thermoset polymer coating. When cured, the ChemLine® high cross-link density is unlike other coatings. ChemLine® delivers significantly improved product performance and anti-corrosion resistance. ChemLine® coating is formulated with a unique polymer designed and engineered with high functionality. This bridged aromatic backbone structure, when polymerized, forms up to 784 cross-links. Chemical Processing – Tanks, vessels, hazardous waste, secondary containment, chemical plant floors, etc. Paper & Pulp – Digesters, black liquor tanks, bleaching, etc. Mining – Acid tanks, scrubbers, etc. High Technology – Clean rooms, floors, etc. Power Generation – FGD systems, ducts and stacks, etc. 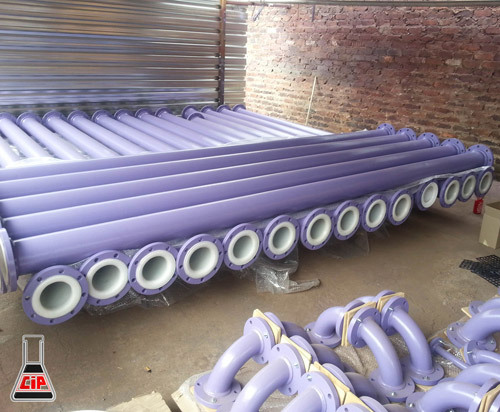 Waste Water – Tanks, clarifiers, flocculation basins, neutralization chambers, concrete containment, etc.